In This Post You Will Learn How to Flash Samsung Stock Firmware using the Odin. Downloader on WINDOWS Computer. Step 1→ Download and install Samsung USB driver on your computer. If Samsung USB dirver is allready installed in your computer then skip this step. 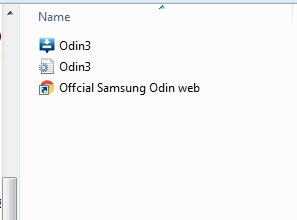 Step 2→ Download and extract odin Downloader on your computer. If you allready have Odin Downloader then skip this step. Step 3→ Download and extract Firmware on your computer. After extracting you will be able to see similar Firmware File inside folder. 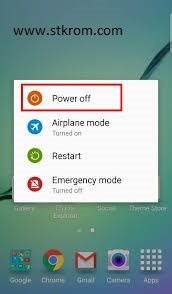 Step 4→ Power Off your Samsung Mobile. Step 5→ Now Boot your Samsung Mobile into Downlod Mode. To Boot into Download Mode Press and Hold POWER+HOME+VOLUME DOWN key at the same time for 8 to 14 seconds. Step 6→ Once you have booted into the Download Mode you will be able to see warning on your Device screen. 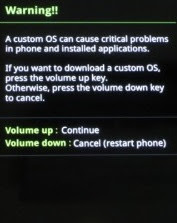 Now you need to press Volume Up key to continue. Step 7→ Open Odin Downloader. Step 8→ After open Odin Downloader You need to connect your samsung mobile to the computer using the USB cable. Once your Device is connected Odin will automatically detect it and you will be able to see ID: COM . Step 9→ Now Click on AP/PDA and select the AP file from your Firmware folder. Step 10→ Now Click On Start Button to start the flashing process, Flashing process may take more than 5 minuts to compelet. Step 11→ Once Flashing process is completed you will be able to see green pass message in Odin , now disconect your mobile from computer. 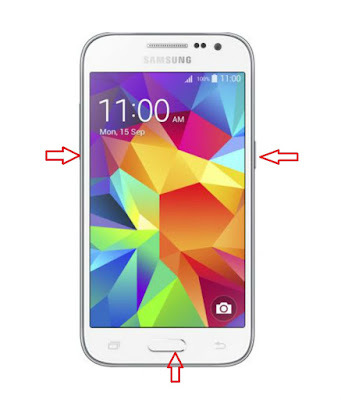 Requirements:Take a backup before flashing Stock ROM to your Samsung device. This rules help you to recover database whenever any thing wrong happens, Also including (music, videos, apps and images).THIS IS A GENERAL GUIDE. NO GUARANTEE ON ANYTHING. DO IT AT YOUR OWN RISK.